Attractive young adults must survive on a post-apocalyptic Earth while standing up to an older generation. Sound familiar? It should. It’s a typical YA set up. The 100 will lull you into a comfort zone before pulling out the rug from underneath you with ideas of psychological trauma, politics, the price of war, and not shying away from some of the most twisted gut punched in modern television history. The truth is that Better Call Saul is the most emotionally-rich, deftly-acted show of the year. While Breaking Bad was brilliant, even Vince Gilligan has admitted they didn’t always know where they were going. Here we get to see a show with defined start and endpoint, which plays on our knowledge of the future of this character. 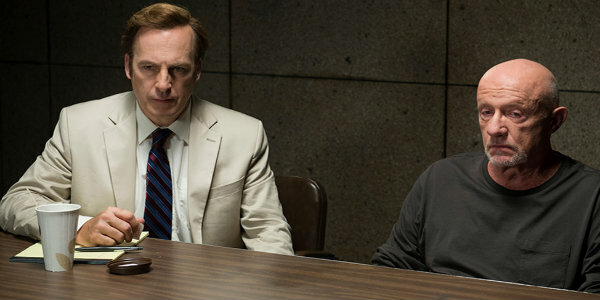 Bob Odenkirk has carved out a particular character over the years, but given the screentime to do so, he has now added such depth and nuance it feels more real than ever. Better Call Saul is an incredibly detailed, funny, and melancholic depiction of man doomed to fail. The first season was game-changing; this year’s second was life changing. The show upped its game in every way without becoming a parody of itself or resting on its laurels. 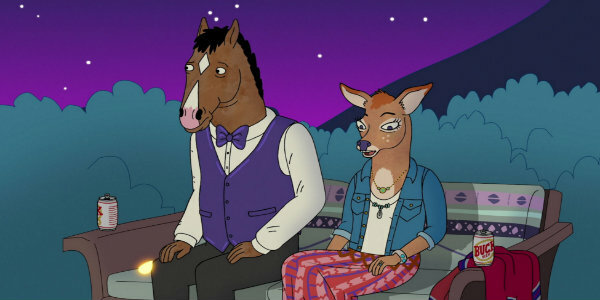 A show that should have been a stupid Hollywood satire led by a talking horse has gradually become the best thing on TV. Marvel has dominated the blockbuster stratosphere for half a decade. It was only a matter of time before they dominated TV. Agents of SHIELD has improved significantly and is worth the shout out just for being led by an Asian-American superhero. Daredevil on the other hand still stars a white guy but he’s blind and knows a variety of fighting styles! He’s a lawyer by day and dark, brooding potential anti-hero by night. You might think superhero shows can’t be realistic, but for those of us who were raised Catholic, nothing sinks in like that Catholic guilt. An accurate depiction of guilt, and crises of faith, proved Marvel has solid footing in the TV realm. 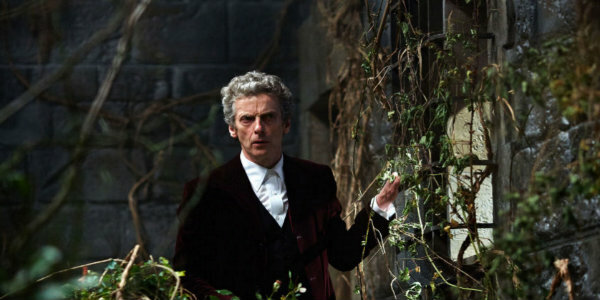 It’s rare that the ninth season of a show is one of its best (even rarer when it’s the thirty-fifth season too), but Peter Capaldi’s second season as The Doctor is a triumph, removing all doubts fostered by his shaky debut. Having every episode be a two-parter was a masterstroke and the introduction of Maisie Williams added a fantastically layered threat/ally. Building upon the success of its immediate predecessor, which was no easy task to surmount, the second season of the hit FX show, based in part on the works of seminal writer-directors Joel and Ethan Coen, is still the best television drama on the air. Blending all of the existential and absurdist themes that make the Coen Brothers’ films such a joys to watch and treasures to be unpacked after preliminary first viewings, the second season of Fargo unpacks a lot of the mystery and social intrigue of the first season, and delivers a truly masterful epic on organized crime and the syndicates that run it, with the show’s Gerhardt clan on a par thematically with Francis Ford Coppola’s Corleone’s. 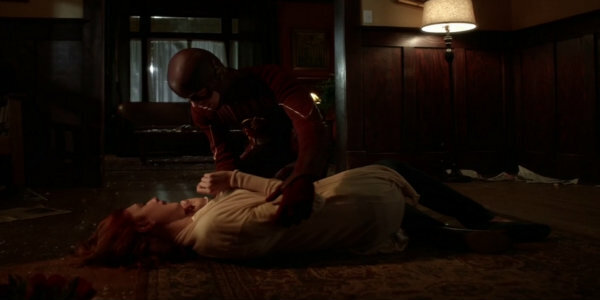 The Flash is a godsend of superhero television. 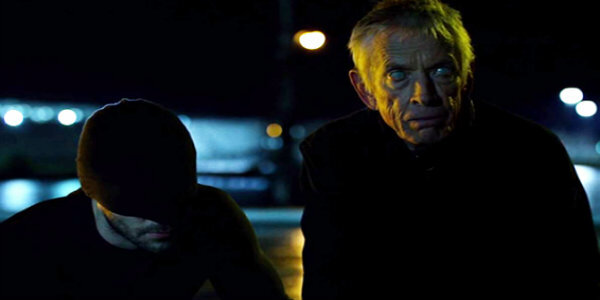 Greg Berlanti & co. have once again brought just enough gravitas to a show that functions as a serialized drama as well as the more outlandish superheroics that make these hooded figures such a staple in pop culture. No other show can have its protagonists facing off against a genius gorilla one week, and a time hopping speed demon from a parallel universe and have them feel like natural conjunctions. Barring a few select pieces of live-action superhero media (Spider-Man 2, The Avengers, The Dark Knight), The Flash is the best example of how to do a superhero property right. While it may not be the best source of drama and large cinematic scale, Fresh Off the Boat is always a lot of fun. Its newest season, no longer abiding by its protagonist’s novel, is chock-full of inseminations of cultural differences, nostalgia (which, though I haven’t lived through, resonate nonetheless), and a quick and constant sense of humor that is applicable to all who watch it, regardless of age, race, or gender. 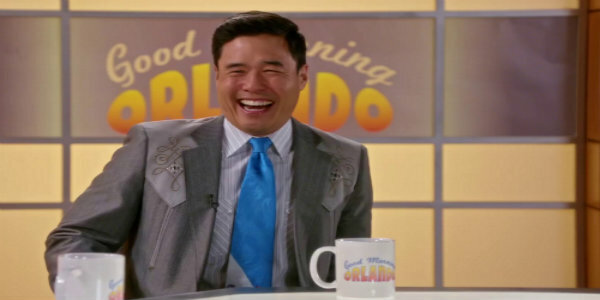 Fresh Off the Boat‘s newest season, now with the artistic liberty to do what it wants with its characters, has solidified it as one of the best sitcoms currently on television. Veronica Mars but with zombies! Showrunner Rob Thomas picks up queues from his previously adored series about a young woman caught in a world of intrigue and adapts it to fit into the mold of other popular genre shows. Each episode ties into a further character arc or narrative push but also allows the cast to showcase their talent with individual “brains of the week” letting star Rose McIver play essentially new characters after every brain is devoured. What show-runner Melissa Rosenberg and the team over at Marvel has accomplished with this series is completely unprecedented. They have crafted a damn near flawless series around an at best c-list character. 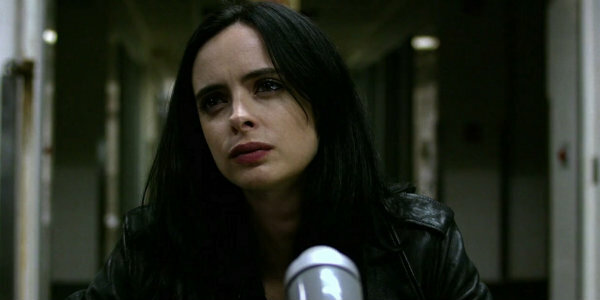 Part of what makes Jessica Jones work so well is the pitch perfect tone that can be dark and disturbing without ever being oppressive and losing track of the fun. It allows characters and premises that are expertly interwoven within the thematic and metaphorical stakes as well as the more physical genre-based stakes. All is kept in check by the strongest pacing of any show you’ll see all year, resulting in an experience that satisfies both as a complete experience and as an episode-to-episode basis if binge-watching isn’t your thing. Of course I have to mention the brilliance of Krysten Ritter who is still just a small piece of what makes Jessica Jones the best show of 2015. 2015 saw the end of a show that took over awards shows for years and never failed to impress critics and viewers alike. The end of Mad Men marked the end of a show that took the time to fully explore fascinating characters such as Don Draper and Peggy Olson, took the time to perfect every detail, be it the magnificent, subtly nuanced writing or the gorgeous set design, and wrapped up everything in a near-perfect finale. 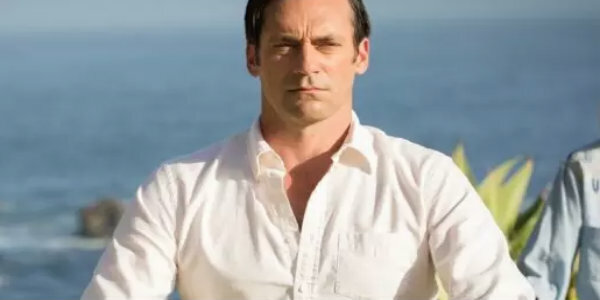 If you haven’t seen Mad Men yet, count yourself lucky, because you get to experience it all for the first time, and with a show this good, what a gift that is. Created by Simon Rich, released on Hulu Plus, and starring that guy from How to Train Your Dragon (Jay Baruchel), Man Seeking Woman is, simply, the best show about dating. It combines the surreal and the absurd to create a comedy that has everything good that you like about Portlandia, but is just normal enough not to turn the average viewer off. 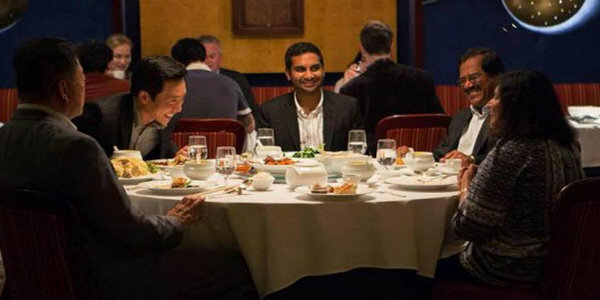 Master of None is not only my favorite show of 2015, but my favorite thing in general of 2015. The brainchild of Aziz Ansari and Alan Yang, the show is cinematic, practical in its depiction of everyman plights, and has poignant interest in the social world. It is both hilarious and emotionally aware and I absolutely adore it. Nathan for You combines the unflinching anti-comedy approach of Andy Kaufman with Sacha Baron Cohen’s commitment to character and shapes the bit in a mirror format that uncovers the most absurd faults of our capitalist structures and their influence on culture. These forms of comedy-personalities typically have a short shelf life, given that the punchline is dependent upon the mark (and really, the audience) being fooled by the crafted persona. 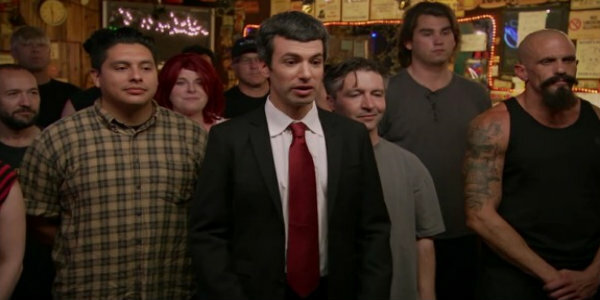 It’s hard to say how far past its third season this show will go, but this is certainly the best season yet and we all need to appreciate Nathan Fielder’s genius (and it is genius) while we all have the chance. Best Episode: “Smokers Allowed” – When Nathan uses a legal loophole to allow a bar owner to permit smoking in her establishment, he layers his comedic approach into a dizzying rabbit hole, wherein the show says more about social identity than any 22 minute episode has any right to communicate. – David Shreve, Jr. The third season of Orphan Black aired on BBC during the first half of 2015, and the already layered story becomes increasingly more complex throughout this season. Sharp witted dialogue, smartly crafted mystery and suspense, and a standout cast makes Orphan Black one of the best shows currently on TV. Not to mention the fact that Tatiana Maslany continues to conquer the small screen with her ability to transform into an increasing number of different character with each season. Where is this woman’s Emmy? A mockumentary that never got too involved in the mockery. Watching Parks and Recreation is akin to playing with a golden retriever as your best friend wraps you up in blankets and feeds you cotton candy made out of smiles and rainbows. It’s so sweet you’ll end up with cavities. Few shows on television spread this much cheer and sincerity in single episodes. Parks and Rec did it on a weekly basis while reminding us the most important things in life are friends, waffles, and work. Or waffles, friends, work. But work comes third. Penny Dreadful had a hit-or-miss first season, but if you stuck with it, you’d know just how impressively it improved itself in its second, which aired on Showtime this summer. What started off as an uneven, but still very fun, mash-up of horror icons and archetypes from Victorian literature (including Dorian Gray, and Victor Frankenstein and his creation, along with some fascinating original characters) really hit its stride in season 2, with increased stakes and a scarier villain, and a more coherent, satisfying storyline overall. 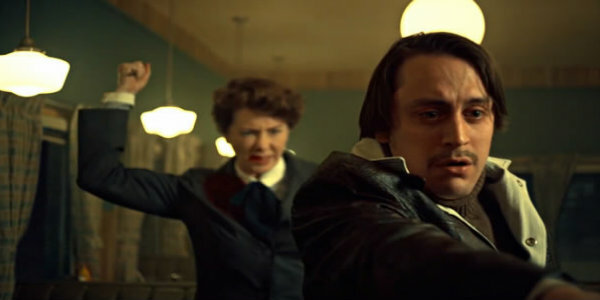 The fact that this sophisticated (yet still somewhat campy) Gothic genre show is finally getting some awards nominations is a testament to how great the series became in its sophomore season. 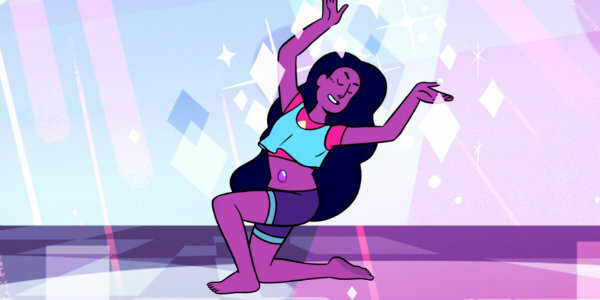 You won’t find a braver, bolder, or better show on television than Rebecca Sugar’s Steven Universe. This animated adventure follows the Crystal Gems, a trio of alien warriors who rebelled against their home planet in defense of Earth, as they begin to train Steven, the half-human son of their late leader. Its subtle world-building and nuanced character development take up the torch of Avatar: The Last Airbender to an extent rivaling even that show’s successor, The Legend of Korra, going much deeper in their second season this year. And for a kid’s show, it goes further than anything else on TV in its exploration and embrace of queer identities. A show with candy colored spirit and delightful content, there may be no show more entertaining than Unbreakable Kimmy Schmidt in 2015. The sugar coated sweetness is sincere but also serves to embrace the truth behind the series: overcoming trauma. It’s a heartwarming message to a show starring an actress with the most infectious smile in the business. In its fourth season Veep remains political satire at it’s finest. Where most comedies start running out of steam from tiring personal stories of relationship drama or jumping sharks, Veep refuses to let characters get too likable. It’s the characters from Paddy’s Pub or Jerry’s apartment running the political gamut with low effect for the country and high effect for our comedy. List curated by Diego Crespo, Josh Rosenfield. Click here to read Josh’s 2015 film rankings. Click here to read Diego’s 2015 film rankings.